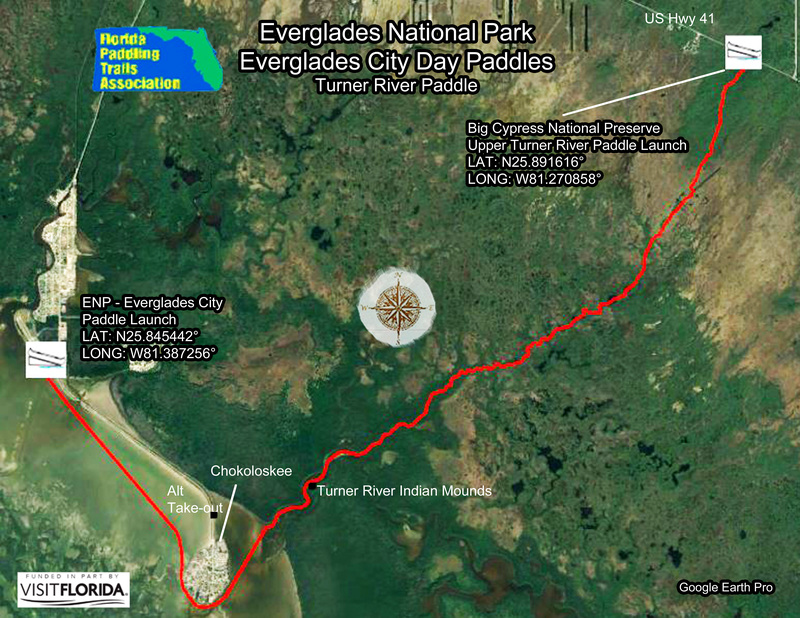 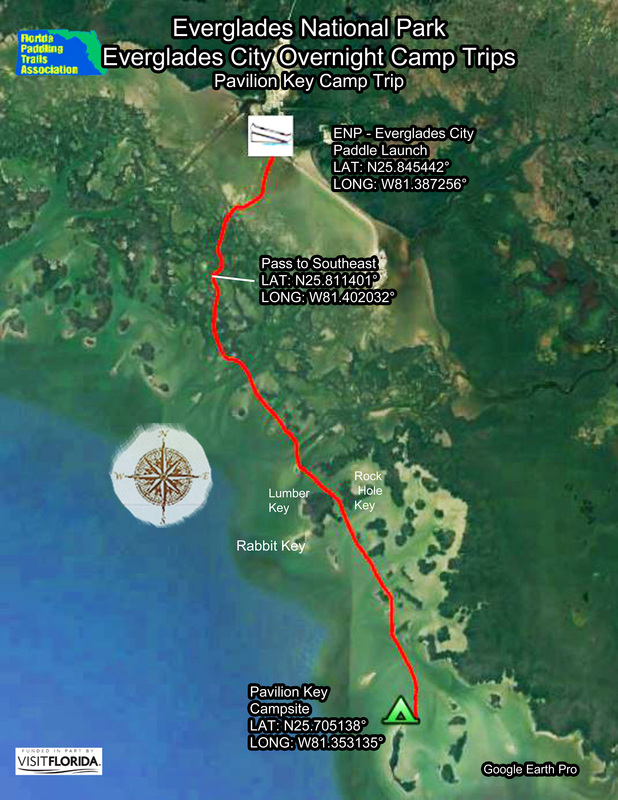 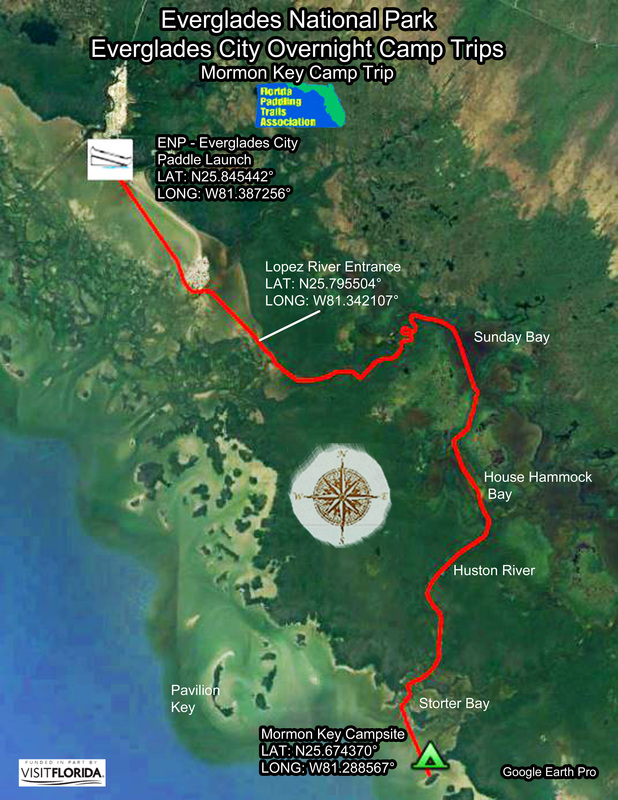 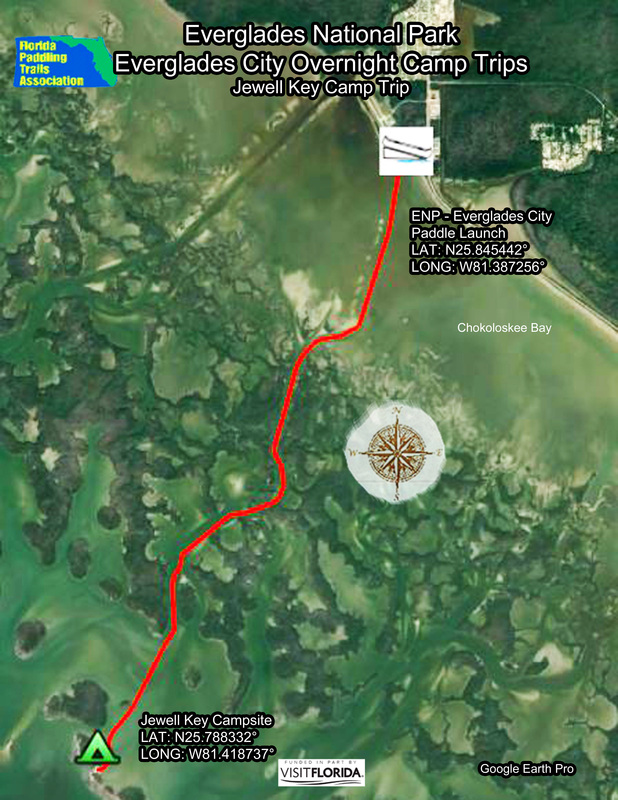 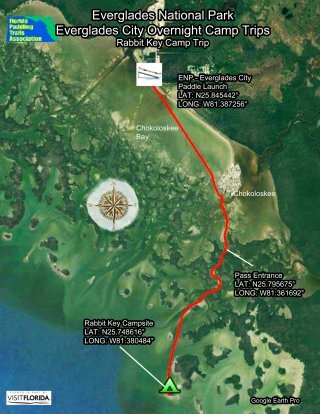 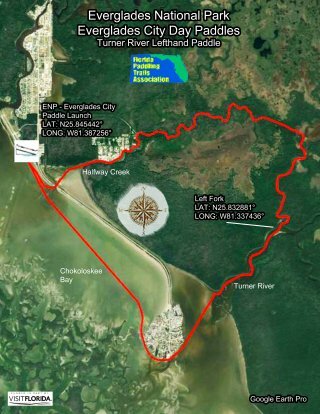 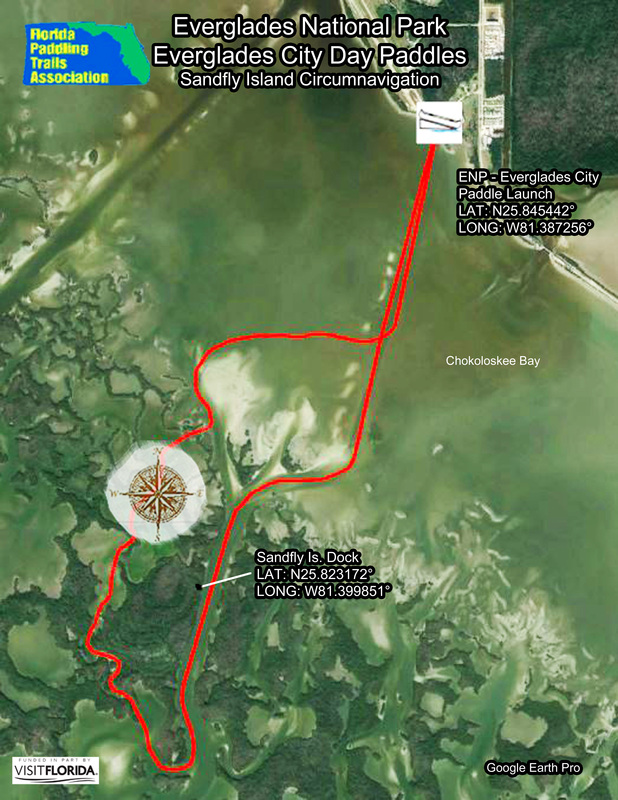 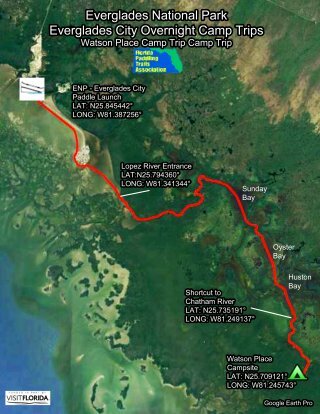 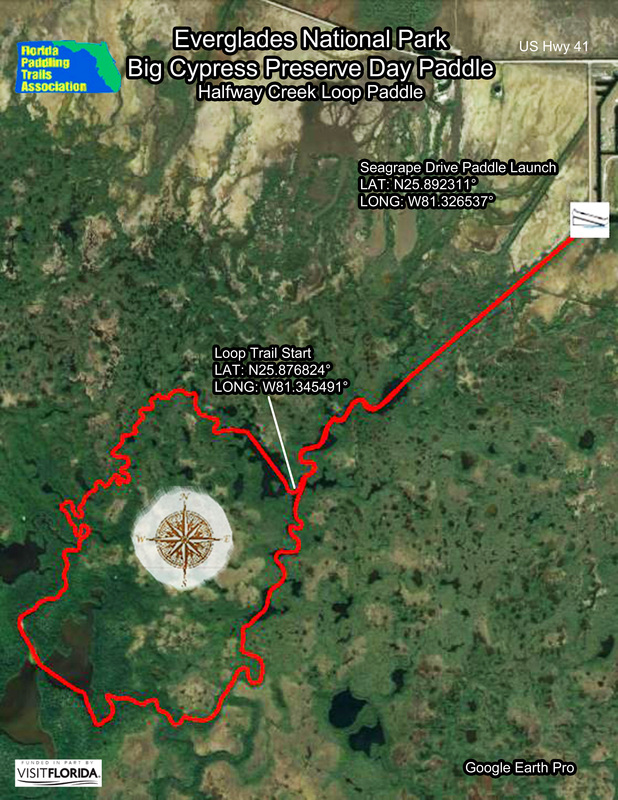 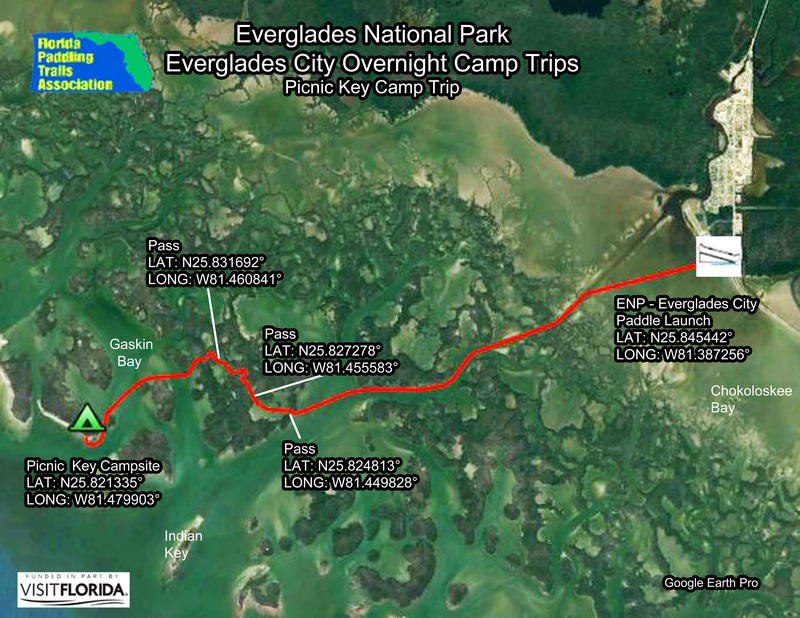 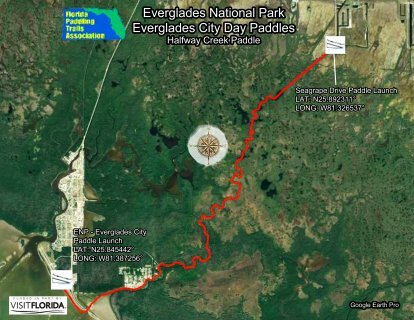 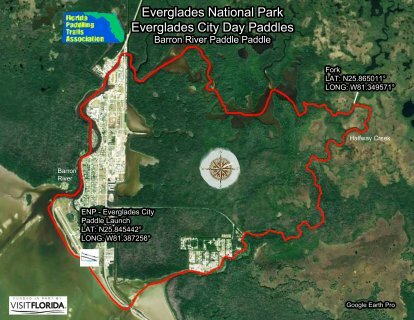 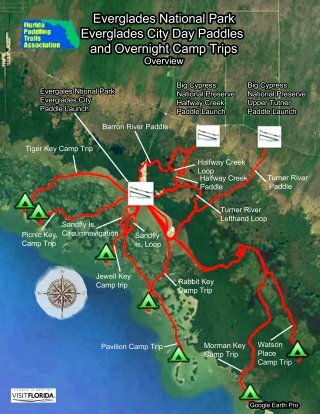 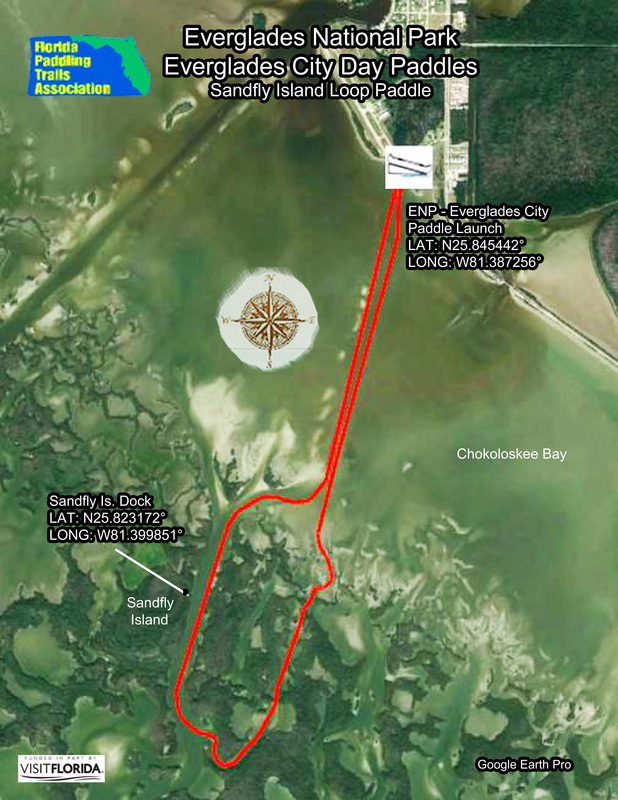 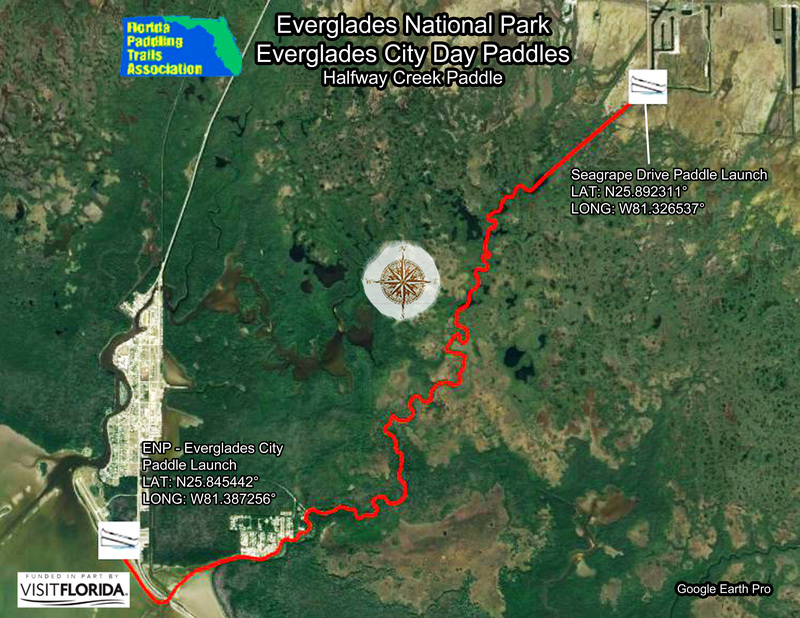 Before planning any paddling trips in Everglades National Park, contact the Park Service, (305) 242-7700, and visit the Wilderness Planning website https://www.nps.gov/ever/planyourvisit/upload/Wilderness-Trip-Planner-2015corrected.pdf to make sure all trails and, if camping, chickee/campsites are open. 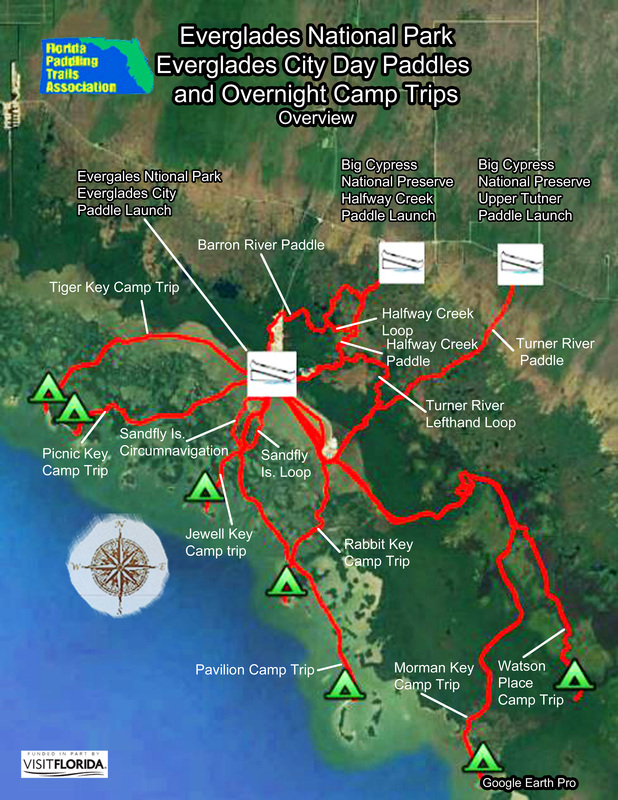 Occasionally some trails and wilderness campsites may be closed due to maintenance or storm damage. 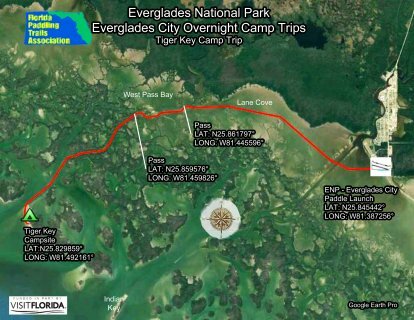 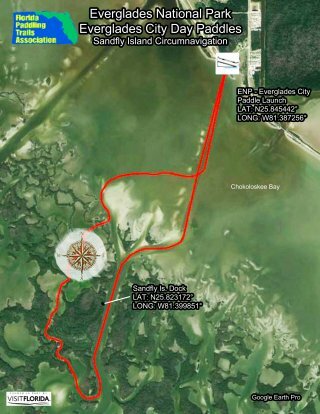 All camping is done through a permit system, and permits can only be obtained from Everglades City and Flamingo Visitors Centers no sooner than 24 hours prior to your departure, so it helps to be flexible in the planning stage. Please refer to the Everglades National Park website carefully for more details.